Sara Frank, who majored in media studies at Emory, has been recognized by honor society Omicron Delta Kappa as National Leader of the Year. 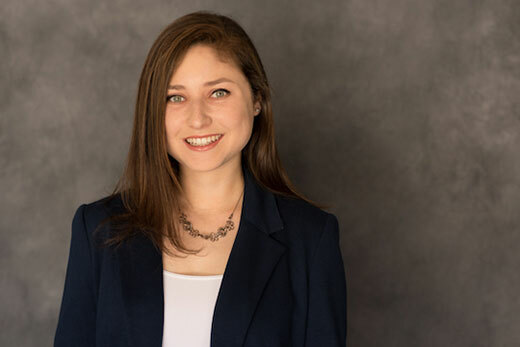 Sara Frank, who graduated from Emory College of Arts and Sciences last month, has been named Omicron Delta Kappa’s National Leader of the Year. Frank, a former sophomore adviser in Residence Life who served as president of Emory’s ODK chapter, is the first Emory student to win the top award from the leadership honor society. It was mentorship in ODK, in fact, that led Frank to her next challenge: Law school at the University of Virginia. Her major in media studies and minor in Hebrew language provided the critical reading, communication and research skills she will need. Mentors from across Emory, though, connected her passion for justice and compassion to the practice of law. “Sara is intent on accomplishing everything she does through commitment, thoroughness and hard work. She explores options and situations meticulously,” says Judy Raggi Moore, professor of pedagogy in Italian Studies, who first met Frank as adviser to the first-year honor society Phi Eta Sigma. “No doubt she is garnering a greater understanding and appreciation for ethics and integrity, skills that are important for her professional future,” adds Moore, who also advises ODK and nominated Frank for the national award. ODK encourages academic achievement, superior leadership and exemplary character. Founded in 1914, the society recognizes campus leadership in five areas: scholarship; athletics; campus or community service, social or religious activities and campus government; journalism, speech and the mass media; and creative and performing arts. Frank was one of five finalists for the top award, having earlier been recognized for her academic leadership and involvement with Honor Council, Phi Eta Sigma National Honor Society, the Emory Scholars Program, ChaiTunes A Cappella and several arts organizations. Being named a finalist came with a $1,000 scholarship for Frank and $300 for the Emory ODK chapter’s programming. The top award also comes with an additional $3,000 in scholarship funds.